Christopher Kent is one of the most inspiring people I’ve ever met. Throughout the years, I’ve had an opportunity speak with a number of musicians, and there are none more positive than Kent. As a folk singer and songwriter, his songs enhance the inherent beauty of human experience, life and nature. Most recently, it is his mastery of capturing the holiday spirit that has earned him international recognition. Two of his recent releases, “Songs of the Season” and “Twas the Day of Thanksgiving” have been nominated as finalists for best holiday song by the JPF Music Awards. 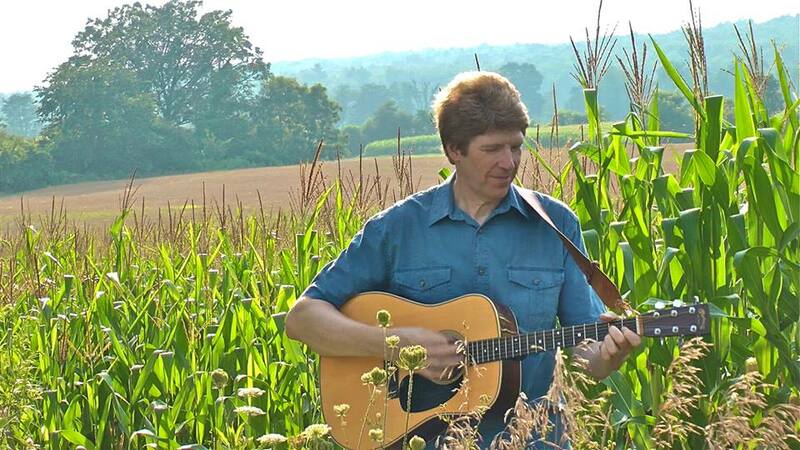 The singer-songwriter has spent decades honing his craft and I’ve had the pleasure of hearing him perform and getting to know him at the annual Philadelphia Folk Festival. According to Kent, “Songs of the Season” was written as part of a larger project – to record an album of original Christmas stories that could emotionally connect with an audience. Kent and his wife hold an annual Christmas party complete with caroling, which is referenced in the song. Because he received such a positive reaction to performing the song, he decided to release it as a single. Even in spite of the summer heat, “Songs of the Season” managed to create a memorable winter scene for everyone listening around the campfire. His second nomination in the holiday song category isn’t a song at all – it’s a holiday poem. Knowing Kent for his folk songs and thoughtful lyrics, I was surprised to hear him release a recording of a humorous Thanksgiving poem a few years ago. Using the framework of “The Night Before Christmas,” Kent brings to life fond and funny Thanksgiving memories. Kent’s two nominated works were chosen from amongst 500,000 songs submitted by singers and songwriters from across the world. JPF is the world’s largest grassroots music organization with 50,000 members representing 160 countries. Kent, who is also the author of the book “Staying Off The Wheel Of Misfortune,” has his most recent album, “Piece of the Puzzle,” as well as all his published music and essays available on his website – ChristopherKent.com. You can connect with him on Facebook.